While we may be enjoying a fantastic summer in the UK, our hair is probably not best prepared for the prolonged hot spell. With London feeling ultra muggy at times, this can cause limp and lifeless hair. It can be frustrating to deal with and interfere with your styling products. It seems that a lot of us want the glamorous beach look, where hair effortlessly falls perfectly around the face, without looking as though any effort has been made. Research by Philip Kingsley has found that ‘beachy waves’ is the hottest summer look by far this summer. Almost half (48%) of British women want it and take inspiration from celebrities such as Rosie Huntington-Whiteley and Alexa Chung. However, don’t be tempted to reach for the curling tongs in this weather! 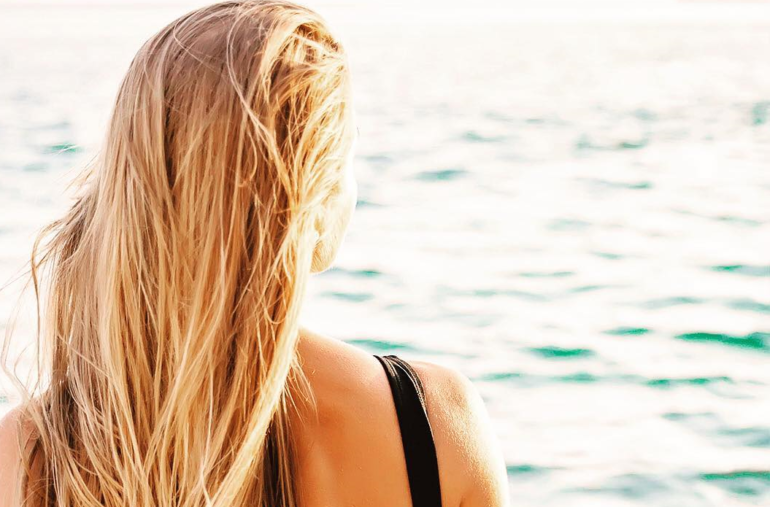 To get the ultimate summer hair, Philip Kingsley warns against the use of hot styling tools and dehydrating salt sprays which can wreak havoc and ultimately cause damage. Instead, opt for healthier sprays such as Instant Beach. The innovative, salt-free, conditioning formula nourishes and conditions hair whilst giving soft, natural and effortless texturised waves. In addition to using the specialist spray, it is really important to keep your locks nourished with a good shampoo and conditioner too. The Elasticizer by Philip Kingsley is especially good for an in depth treatment and this will give your locks some extra TLC. We have been really impressed by the whole range.